Rancho Santa Margarita, do you have bees? If you have a problem with honeybees, we have the solution. Rely on your local Rancho Santa Margarita bee removal experts at Bee Busters! Sitting along the foothills of the Santa Ana Mountains, is the masterfully designed community of Rancho Santa Margarita. The community is has many parks for recreational activities. These include the scenic Lake Rancho Santa Margarita, a dog park and a skate park. There is no shortage of places to go and relax, jog, walk or go biking. The annual events are also a hit among the residents and visitors to the community. All these wonderful places are great for people, and bees. Rancho Santa Margarita has plenty of irrigation boxes and bees love to live inside these boxes. That’s when you call Rancho Santa Margarita bee removal provider Bee Busters for help. Bees do not need much space. They can through a hole that is as small as 1/4 inch. There are many places on a house that meet that criteria. We spend a lot of time and hard work to maintain our homes. Letting bees move in does not help. Pests such as bees, wasps and yellow jackets pose a hazard if they move into your home and are allowed to take up residence on your property for an extended period of time.. They can cause significant damage to homes or commercial structures in Rancho Santa Margarita, leaving property owners with significant renovation and repair costs. These pests may choose to nest in buildings, trees or even underground. Other common nesting places include in walls, under porches, birdhouses and even flower pots. If you get bees at your property, don’t wait too long, call Rancho Santa Margarita bee removal pros at Bee Busters. A bee sting could land you or your loved one in the hospital. Yellow jackets are more aggressive than bees, but a sting from any of them could prove to be deadly for you or a loved one. Statistics show that many people in the US die from bees and wasps stings each year. Bee Busters provides Rancho Santa Margarita bee removal and bee control services, swiftly responding to complaints of bees, wasps or yellow jackets around the home. 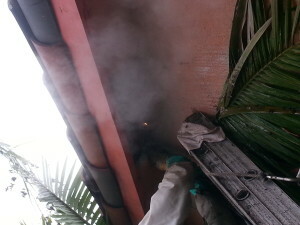 They are your reliable bee removal experts, serving both residential and commercial customers. 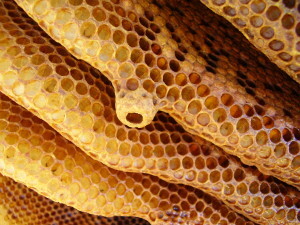 Bee Busters is very careful when it comes to the removal of honeybees in Rancho Santa Margarita. These are not immediately subjected to a termination process, as are wasps and yellow jackets. Because of their value to agriculture and the environment we try to save as many bees as we can. The company will first send out technicians to assess your Rancho Santa Margarita property and the severity of the infestation. They will then determine the best and safest process for removing the bees from their location. 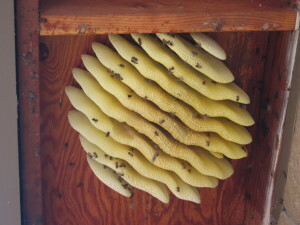 The process has to be safe, not only for the occupants of the home/building, but also for the bees. Once the technicians establish that the bees should be saved instead of terminated, they will decide on the best way to remove the insects without harming them. Some residents of Rancho Santa Margarita are into beekeeping as a hobby, while others use it as a means of second income. This is great for our bee population as it means more people are getting involved and helping to save the bee population. You too can help us save our local bee population. If you see a swarm of bees, wasps or yellow jackets in your home, act promptly and call in the Rancho Santa Margarita bee removal experts, Bee Busters @ 949-497-6264, 949-459-0024 or 714-731-1959. Contact your Rancho Santa Margarita bee removal experts today!